The Farm Palace Service was originally made for the Grand Duke Alexander Nikolaevitch, from about 1840. 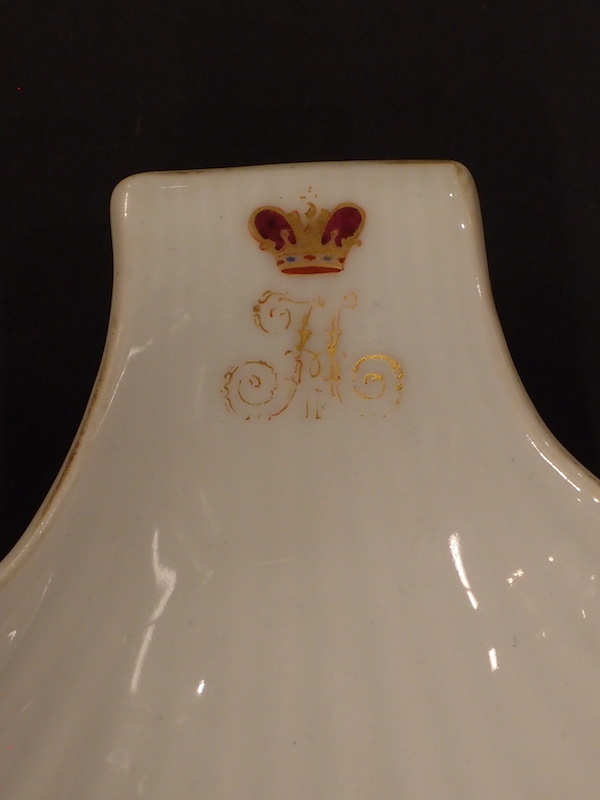 After the ascension of Alexander II, his Imperial monogramme appears on the plates, as you see here. 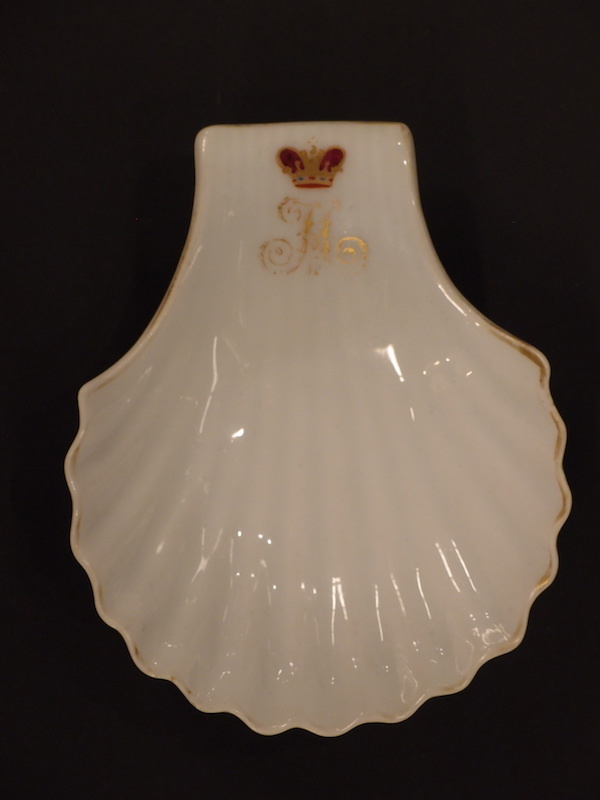 This Imperial Porcelain Factory plate is marked with the green monogramme of Nicholas II and the year date 1910(? : unclear). The service was designed for 125 place settings and comprised about 3,300 pieces. There is a very small chip to the first lobe on the right. 12 cm by 10 cm ,and 3 cm tall.